Last weekend changed completely when my folks decided to take our two boys from Friday afternoon through Sunday afternoon. With two girls at home, one a teenager and the other soon to be, well, things are a little less hectic and not as supervised. Thus, I spotted a bonus opportunity to get back on the water. Of course, it’s still not all that easy. Prep work kept me up later than planned and I overslept the 5:05am alarm and woke up instead at 5:55am. Had all the fixings cooked up for my own breakfast burritos only to remember that we had no tortillas. And had a kid activity to attend after lunch about 40 minutes north of my fishing holes. And here you go, a roughly 14 hour day in 2 minutes and 11 seconds. 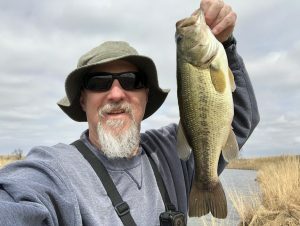 When it was all said and done, I managed a decent haul of bass after a slow start including my new Top Bass of 2019. Racked up another five miles of hiking along the way, too. 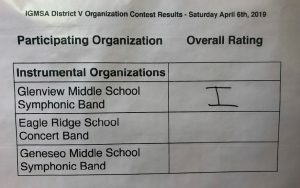 The Glenview Middle School bands rocked the IGSMA Music Festival at Geneseo High School with all three (Jazz, Concert and Symphonic) receiving top marks. Carly nailed her oboe solo during the Symphonic competition with the band receiving a perfect score. 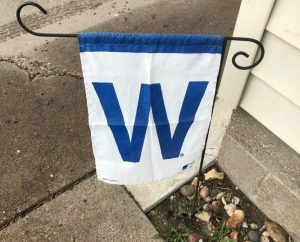 And the Cubs pulled out a much needed victory in a slugfest to end the day.